They were very theatrical. Alex Harvey was 40 something, he was an old guy. And - at the time - that was ancient for rock n roll. He won the Scottish Tommy Steele competition in 1957. The prize? Meeting Tommy Steele! What a bizarre business. That was two years before I was born and he must have been in his late teens/early 20s by then. To be in your early 40s and starting out was unheard of. David Bowie and Alex Harvey knew each other, actually: they bonded over a shared love of Jacques Brel. 'Faith Healer' is one of the best things that ever came out of the 70s. And the end triplet of 'Last Of The Teenage Idols' – which is about the competition that he won. That was amazing. I loved his voice: he screamed his way through life. His version of 'Crazy Horses' is hilarious. He did a song called 'There's No Lights on the Xmas Tree Mother… They're Burning Big Louis Tonight'. It was about a guy in the electric chair who takes all the power off the grid on the night of his death. Nobody in this little town in America gets the Xmas lights. What a brilliant idea for a song. It was theatrics and bravado. 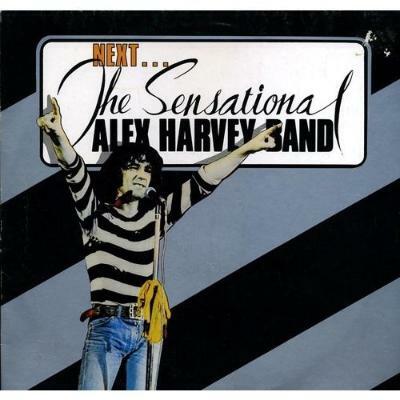 Alex Harvey was off kilter - it wasn't like The Sweet or Mud, he was musically brilliant.